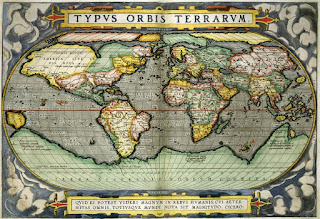 Abraham Ortelius (/ɔːrˈtiːliəs/; also Ortels, Orthellius, Wortels; 14 April 1527 – 28 June 1598) was a Flemish cartographer and geographer, conventionally recognized as the creator of the first modern atlas, the Theatrum Orbis Terrarum (Theatre of the World). 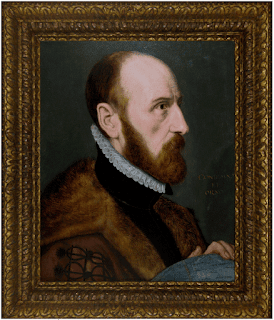 Ortelius is often considered one of the founders of the Netherlandish school of cartography and one of the most notable representatives of the school in its golden age (approximately 1570s–1670s). The publication of his atlas in 1570 is often considered as the official beginning of the Golden Age of Netherlandish cartography. He is also believed to be the first person to imagine that the continents were joined together before drifting to their present positions.